VitaLink Earth MAX is a mineral nutrient with added Fulvic Acid that has been developed to contain everything plants need for fast growth and healthy plant development along with large yield when growing in soil. This product is ideal for use with potted plants and is a unique formulation that is scientifically proven to promote fast growth and large yield. It is available in both growth and bloom formulations. 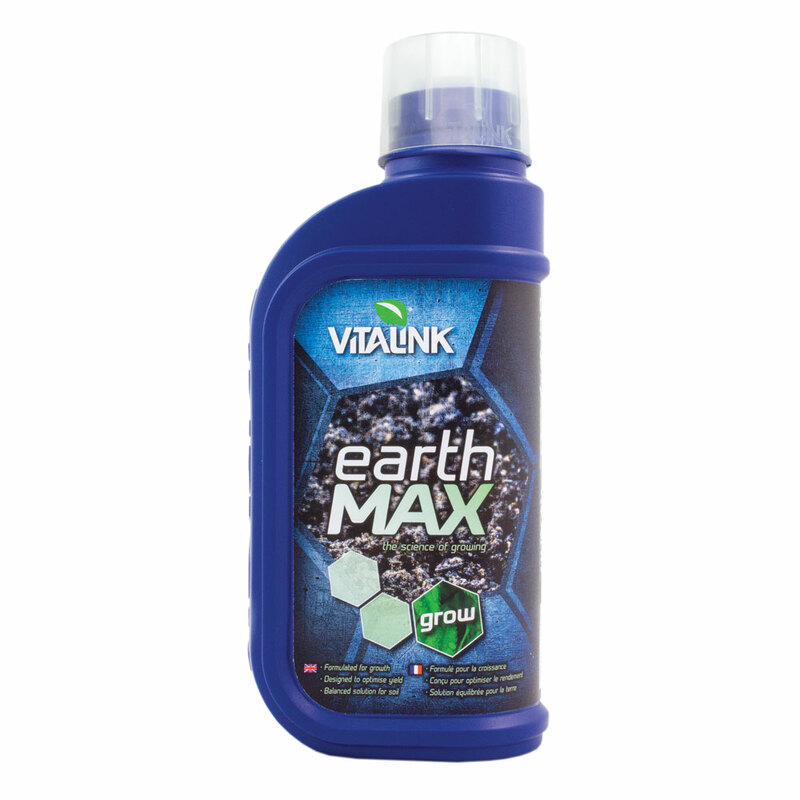 Earth MAX grow is a nutrient for plants grown in soil/compost media. The formulation supports vegetative growth. Dosage: Young plants = 1-2ml/L. Earth MAX bloom is a nutrient for plants grown in soil/compost media, and supports flowering and fruiting.